7 reason you need to know about ezbuy.my - the one-stop global shopping platform that make your shopping easy ! 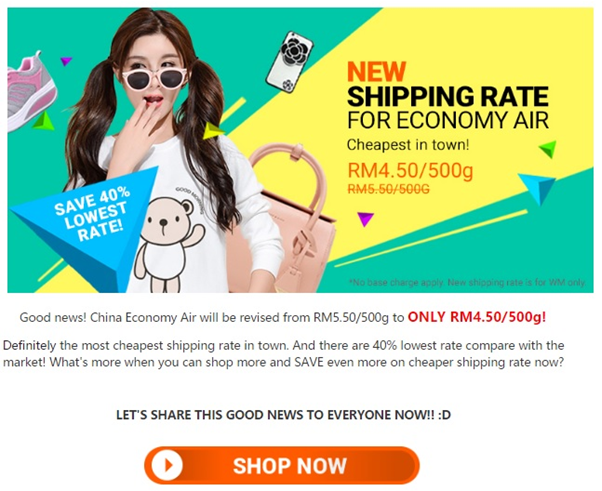 Have you ever heard ezbuy.my ---The Taobao Malaysia ? 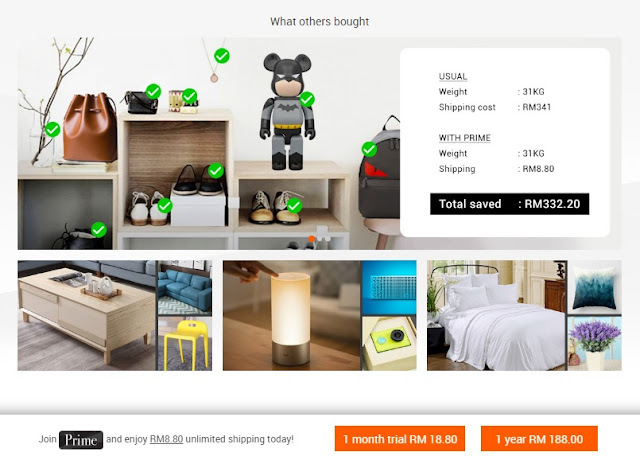 ezbuy Malaysia brings a hassle-free platform for you to shop. I’m a loyal shopper of ezbuy.my and I have no problem with it since last 2 years. I show you why I like to shop at ezbuy.my. You can just use your Facebook account and Google+ link to ezbuy Malaysia. 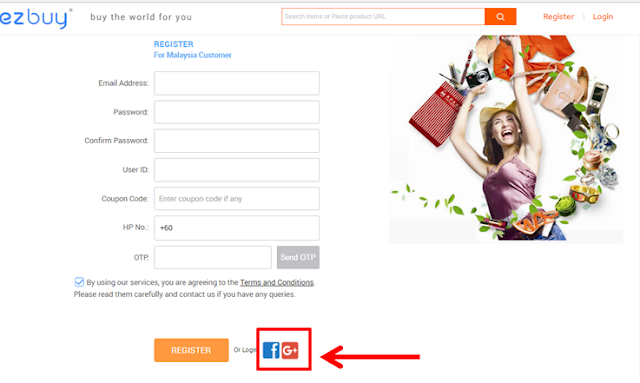 Or you can register with your email address. Just a few simple steps and you start your shopping within a minutes ! 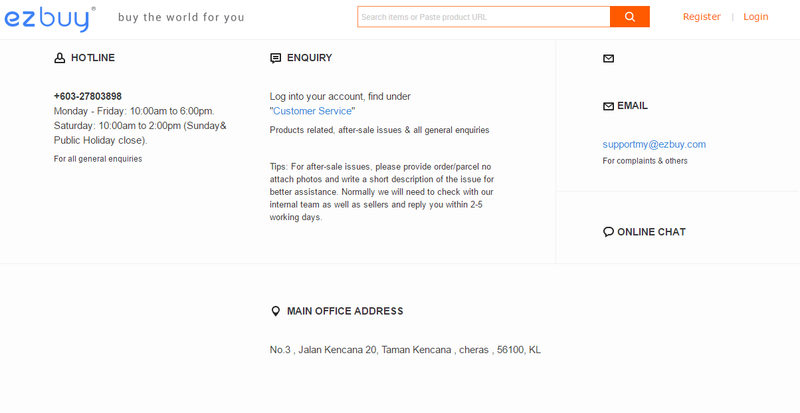 As you can see above picture, ezbuy Malaysia even provide 3 main languages for the shopper in their website! So, for those people who doesn’t know about mandarin, you may change your language preference in their website. This is as easy as 123. 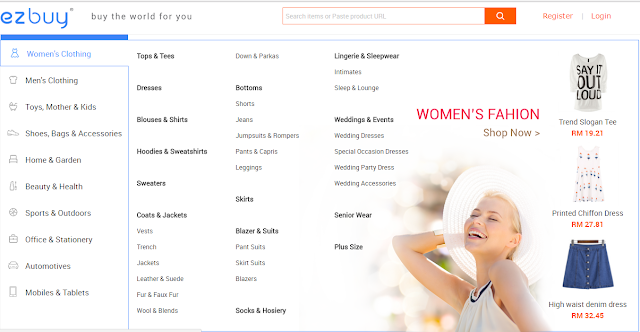 From Women’s Clothing until Mobile & Tablets, you may choose your favourite item based categories. 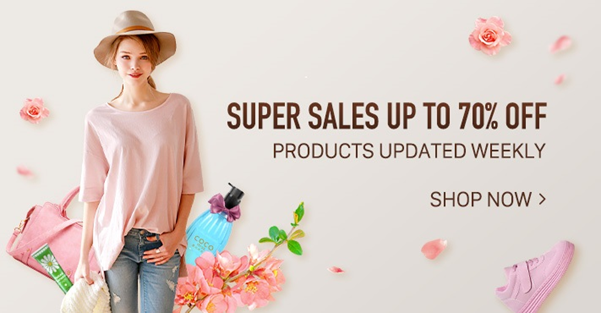 Their products will update weekly and they will have feature collection to help you has a better shopping moment. Usually, I will search my favourite stuff by browsing Feature Collection. Sometimes, they will have flash deal and promotion for certain item. It is great to shop at their website as I can get surprise deal sometimes. You can get customer review by viewing of the original site. This is one of the reason i shop at their website. Their price sometimes is damn cheap and the quality is not bad too. We can really save a lot of money at ezbuy.my. One dress only cost me around RM12 !!! 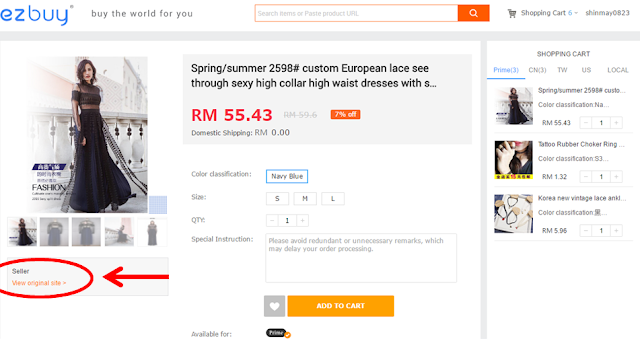 So , how can i stop buying clothes from ezbuy.my?! Right?! They have offered the lowest shipping rate at RM4.50/500g and No Agent Fee. Another point best to share with you all is the PRIME . 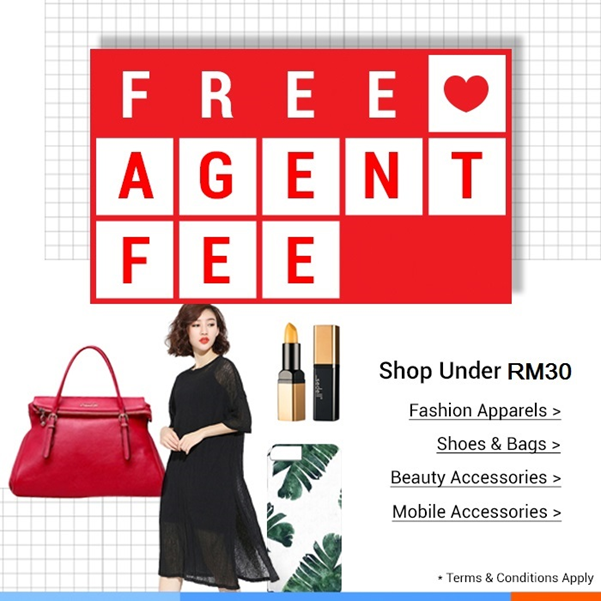 Regardless of the items’ total quantity, weight or size, the total international shipping fee is RM8.80 net per checkout for Prime eligible items. There’s no limit on how many items you can check out at one time. The prime member enjoys free insurance up to RM2000 per parcel to cover the unfortunate incidents like parcel loss, damage or product issues listed in the inspection coverage. The compensation follows the same policy as buy-for-me service. They have 2 plans which are 1-month trial cost RM18.80 and RM188 for 1-year PRIME. When you tick the cash off and prime, you really can save a lot of money! What a good news to us! Besides, they also provide a different method of shipping such as Economy Air, Priority Air , DHL Express , Special Air or Sea. 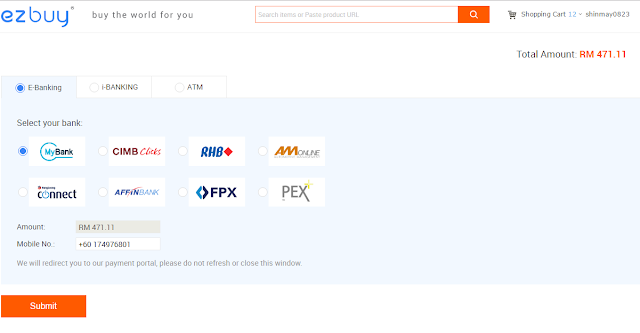 You can pay using local bank transfer through I-banking / ATM No processing fee or instant transfer. ezbuy Malaysia has the local customer service like providing a hotline, live chat, and their main office address. They will provide after sales support for wrong order, damaged parcel or missing parcel. They have in-house logistic so that you may choose either flexible pick-up or delivery options. Halloween and Christmas are coming soon ! You may browse some items from ezbuy.my. I’m sure you will have an awesome deal from their website. In the meantime, I want to share some good stuff with you! It's so good to know all these stuff cos I haven't shopped in ezbuy before. I've been using ezy buy for the longest time. Im a super VIp now but recently they keep giving me headache! But undoubtedly they are the cheapest i can get. Agreed with you on the reasons. Times to shop through ezbuy now. This looks like a nice platform to shop too. Currently I'm using SGSHOP. Might try this out too.